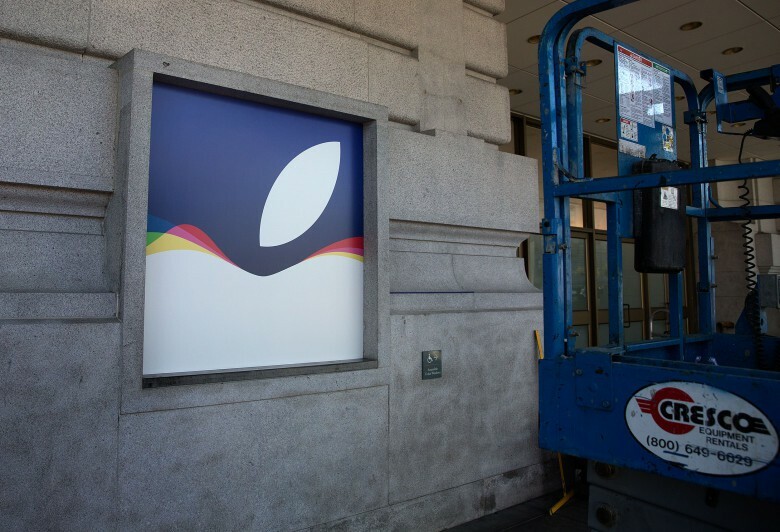 Apple is making its mark on San Francisco. 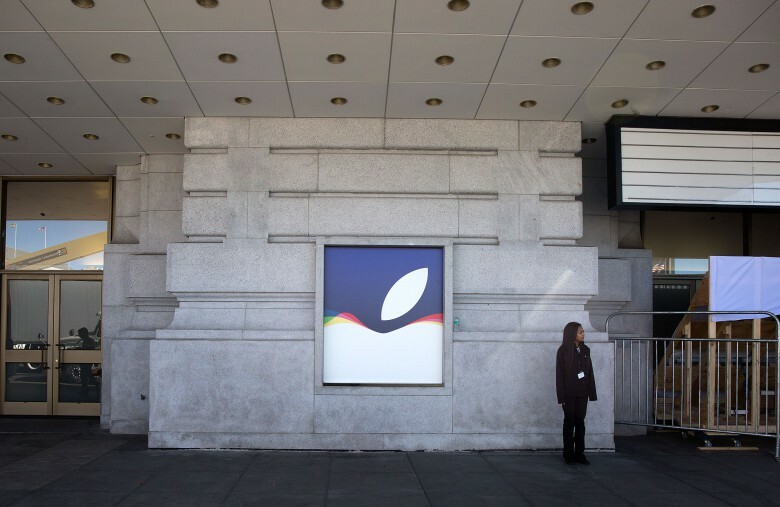 SAN FRANCISCO — It’s not as cool as installing a gorgeous glass staircase, but Apple is definitely making its mark on the Bill Graham Civic Auditorium here. 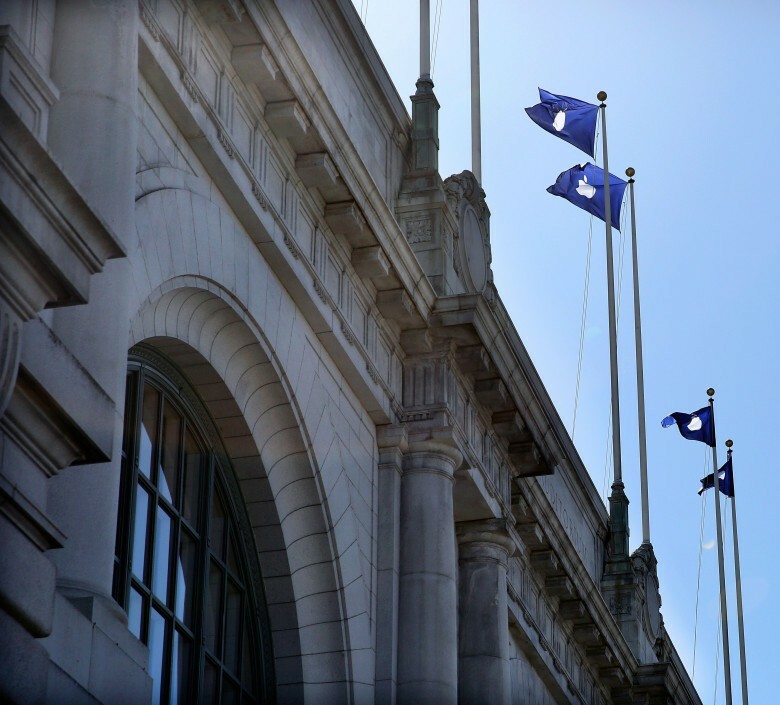 Flags, signs, security barricades — it’s all part of the prep for Apple’s massive iPhone 6s event scheduled for next week. It’s a shabby corner of San Francisco, but Apple is totally classing up the joint. See more pictures of Friday’s street scene below. It remains a mystery why Apple booked the Bill Graham Civic. The venue holds 7,000 people, which makes it far larger than the halls Apple usually rents for its annual iPhone events, and it’s typically used for concerts. The Bill Graham Civic has a historic link to Apple, but why do Tim Cook and company need a super-size stage to roll out new iPhones (and a radically refreshed Apple TV)? We’ll all find out next Wednesday. Come to Cult of Mac for our liveblog coverage of the event, which starts at 10 a.m. Pacific. 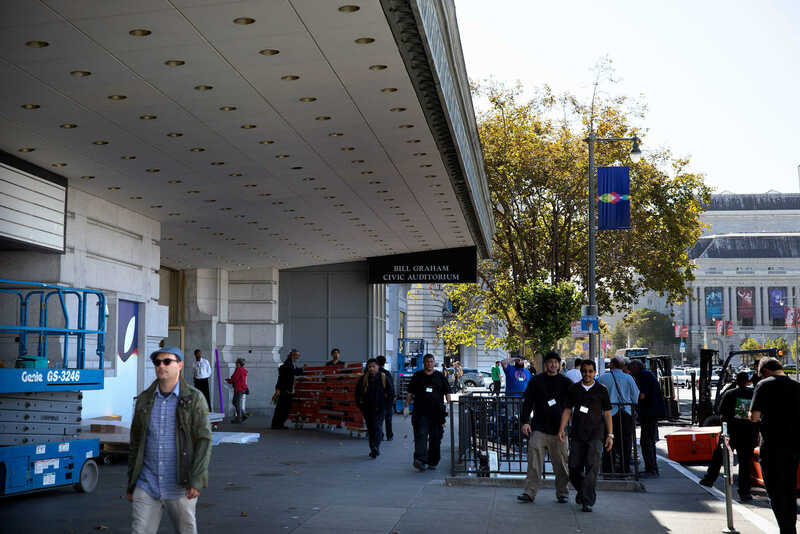 Preparations are afoot outside the Bill Graham Civic Auditorium.